Personal branding is the practice of people marketing themselves and their careers as brands. – Wikipedia or as I like to put it, it’s your reputation on steroids. People use personal branding to establish an image or impression of themselves into the mind of others. Every person I guess has their own ‘brand’ based on the way they act, talk, dress, walk, write, pretty much do anything that distinguishes them from others and with the rise of social media, blogs, podcasts and video platforms, personal branding is becoming a corner stone of our new economy. When it comes to personal branding we tend to act a particular way much more deliberately so that our business, expertise, company, brand etc are seen as something worth using (or valuable) to clients and consumers. Your personal brand is very important! It is who you are, what you do and how you do it. Your reputation is based around your personal brand and can be the difference between a successful career or business and an unsuccessful one. You may choose to create a personal brand to apply for a job or promotion, go after more and/or better clients for your company, become recognised in the industry as an expert or leader, become an entrepreneur, build your own company or just to help you define yourself and your vision as a professional to further your self development. In many ways having a personal brand is a way for you to take control of how you are perceived by others ensuring you leave a positive and memorable impression to those whom engage with you. What are your goals? Where do you want to be in life and when do you want to get there? Having a vision is a great first step when defining a personal brand. A vision is an image of what you want to achieve and the steps you will take to reach this achievement. It is the hidden juice that will make your business successful. While a vision statement is what you want to achieve I believe it greatly helps when creating your personal brand and here is why. To have a strong and clear vision you need to have strategies in place to achieve your goals, have motivation, determination, good work ethic, strong business skills and these are all things that can help define your personal brand. Knowing where you want to be professionally will help determine how you want to be perceived; and therefore articulate your personal brand. Read more about vision statements here. You don’t create a personal brand from scratch, you already have one because it is who you are! It is you, you can decide what traits you want to share with the world and how to act when you are in the spotlight. What do you want people to think of when they hear your name or see your face? This will help you determine your personal brand. Compile a list, talk to friends and family and allow them to have some input as we often see ourselves differently than others. Once you have a list, mind map it into a short list of what qualities and values you would want your personal brand to be based around and stand for. You can take this further and create some imagery around this which could include mood boards, photography styles and messaging. 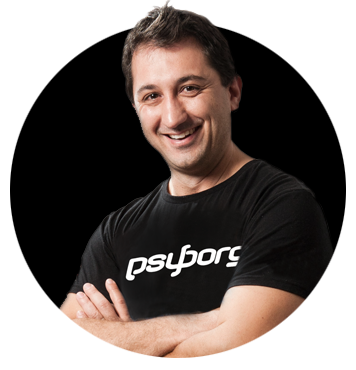 At psyborg® this is something we have worked on with clients. 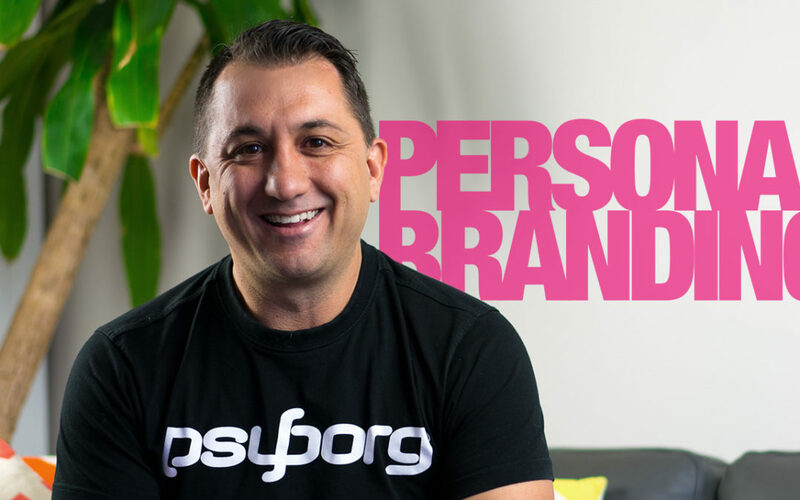 It is important to remember that whether you are dealing with someone in person, over the phone, in writing or online you need to live up to your personal brand. So every time you share something on facebook, upload a photo to instagram, tweet something on twitter you need to remember the personal brand you are building and stay in line with this brand. I have said it before and I will say it again, consistency is key. You can not make up a desirable character and be that person. I am not giving you permission to build an avatar and become that person. It won’t work! Your personal brand needs to be a reflection of yourself. It’s finding out what your strengths are and using them, making and leaving an impression on people, being consistent across all mediums. Personal branding is about understanding your true self and being the best of that person. It is easy to be authentic if you are being the best version of yourself. Don’t try and copy or mimic someone else’s personal brand, it will not be authentic and people will know. Remember to be genuine in all that you do. To learn more about selling yourself in an authentic way check out my blog Is Authenticity Killing Advertising? Remember to always show people the best of your individual, awesome qualities and they will remember you for the right reasons! Once you fully understand these 3 elements outlined around Personal Branding, that is when you can begin to express it through graphic design and visual communication. The values determined can then be translated into a logo, a user interface for your website, a particular portrait of photography style, personal stationery and content marketing strategy. It can also help you to identify what topics you would need to talk about to get your message and personal brand across. It’s may be just the start of your personal brand journey but getting these steps right are vital to creating a successful and authentic personal brand.